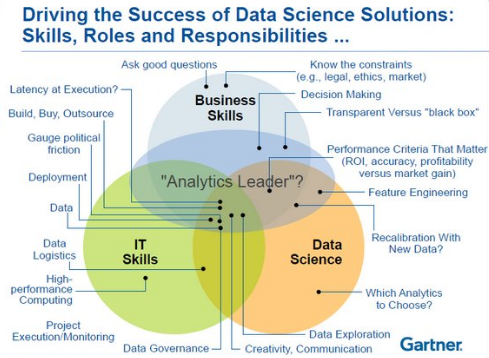 In this article, I clarify the various roles of the data scientist, and how data science compares and overlaps with related fields such as machine learning, deep learning, AI, statistics, IoT, operations research, and applied mathematics. As data science is a broad discipline, I start by describing the different types of data scientists that one may encounter in any business setting: you might even discover that you are a data scientist yourself, without knowing it. 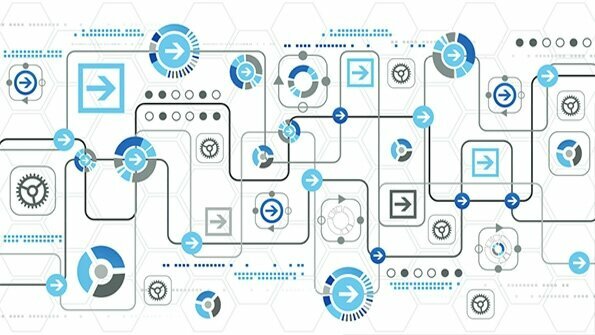 As in any scientific discipline, data scientists may borrow techniques from related disciplines, though we have developed our own arsenal, especially techniques and algorithms to handle very large unstructured data sets in automated ways, even without human interactions, to perform transactions in real-time or to make predictions. The Type A Data Scientist can code well enough to work with data but is not necessarily an expert. The Type A data scientist may be an expert in experimental design, forecasting, modelling, statistical inference, or other things typically taught in statistics departments. Generally speaking though, the work product of a data scientist is not "p-values and confidence intervals" as academic statistics sometimes seems to suggest (and as it sometimes is for traditional statisticians working in the pharmaceutical industry, for example). At Google, Type A Data Scientists are known variously as Statistician, Quantitative Analyst, Decision Support Engineering Analyst, or Data Scientist, and probably a few more. Type B Data Scientist: The B is for Building. Type B Data Scientists share some statistical background with Type A, but they are also very strong coders and may be trained software engineers. The Type B Data Scientist is mainly interested in using data "in production." They build models which interact with users, often serving recommendations (products, people you may know, ads, movies, search results). Source: click here. I also wrote about the ABCD's of business processes optimization where D stands for data science, C for computer science, B for business science, and A for analytics science. Data science may or may not involve coding or mathematical practice, as you can read in my article on low-level versus high-level data science. In a startup, data scientists generally wear several hats, such as executive, data miner, data engineer or architect, researcher, statistician, modeler (as in predictive modeling) or developer. In my case, over the last 10 years, I specialized in machine-to-machine and device-to-device communications, developing systems to automatically process large data sets, to perform automated transactions: for instance, purchasing Internet traffic or automatically generating content. It implies developing algorithms that work with unstructured data, and it is at the intersection of AI (artificial intelligence,) IoT (Internet of things,) and data science. This is referred to as deep data science. It is relatively math-free, and it involves relatively little coding (mostly API's), but it is quite data-intensive (including building data systems) and based on brand new statistical technology designed specifically for this context. Prior to that, I worked on credit card fraud detection in real time. Earlier in my career (circa 1990) I worked on image remote sensing technology, among other things to identify patterns (or shapes or features, for instance lakes) in satellite images and to perform image segmentation: at that time my research was labeled as computational statistics, but the people doing the exact same thing in the computer science department next door in my home university, called their research artificial intelligence. Today, it would be called data science or artificial intelligence, the sub-domains being signal processing, computer vision or IoT. Before digging deeper into the link between data science and machine learning, let's briefly discuss machine learning and deep learning. Machine learning is a set of algorithms that train on a data set to make predictions or take actions in order to optimize some systems. For instance, supervised classification algorithms are used to classify potential clients into good or bad prospects, for loan purposes, based on historical data. The techniques involved, for a given task (e.g. supervised clustering), are varied: naive Bayes, SVM, neural nets, ensembles, association rules, decision trees, logistic regression, or a combination of many. For a detailed list of algorithms, click here. For a list of machine learning problems, click here. All of this is a subset of data science. When these algorithms are automated, as in automated piloting or driver-less cars, it is called AI, and more specifically, deep learning. Click here for another article comparing machine learning with deep learning. If the data collected comes from sensors and if it is transmitted via the Internet, then it is machine learning or data science or deep learning applied to IoT. NLP (Natural language processing) is simply the part of AI that has to do with language (usually written). This article tries to answer the question. The author writes that statistics is machine learning with confidence intervals for the quantities being predicted or estimated. I tend to disagree, as I have built engineer-friendly confidence intervals that don't require any mathematical or statistical knowledge. Machine learning and statistics are part of data science. The word learning in machine learning means that the algorithms depend on some data, used as a training set, to fine-tune some model or algorithm parameters. This encompasses many techniques such as regression, naive Bayes or supervised clustering. But not all techniques fit in this category. For instance, unsupervised clustering - a statistical and data science technique - aims at detecting clusters and cluster structures without any a-priori knowledge or training set to help the classification algorithm. A human being is needed to label the clusters found. Some techniques are hybrid, such as semi-supervised classification. Some pattern detection or density estimation techniques fit in this category. Of course, in many organisations, data scientists focus on only one part of this process.